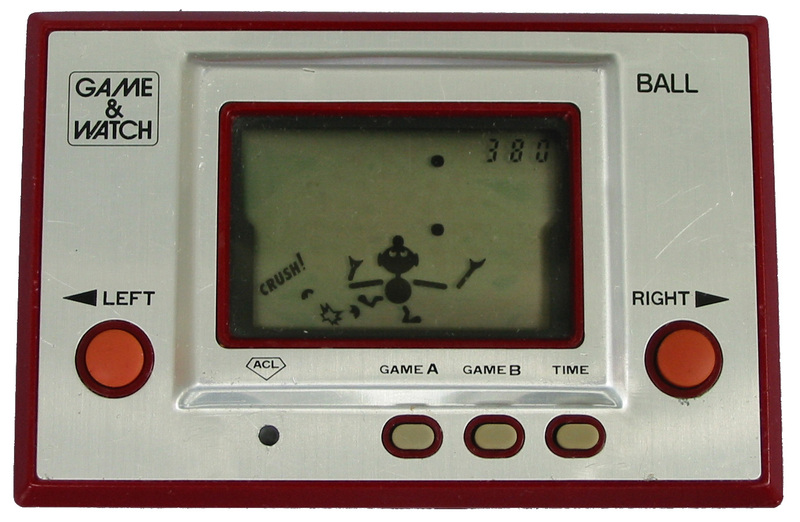 Game & Watch (ゲーム＆ウオッチ, Gēmu ando Uotchi?, or G&W) is a line of handheld electronic games produced by Nintendo from 1980 to 1991. 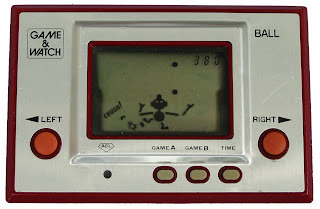 Created by game designer Gunpei Yokoi, each Game & Watch features a single game to be played on an LCD screen in addition to a clock and an alarm (thus, 'Game & Watch'). Gunpei Yokoi, traveling on a bullet train, saw a bored businessman playing with an LCD calculator by pressing the buttons. Yokoi then thought of an idea for a watch that doubled as a miniature game machine for killing time. The units use LR4x/SR4x "button-cell" batteries, the same type used in most laser pointers or handheld calculators. Different models were manufactured, with some having two screens and a clam-shell design (the Multi Screen Series). The Nintendo DS and Game Boy Advance SP later reused this design. Titles available in Game & Watch form vary from Mickey Mouse to Balloon Fight, including Nintendo staples such as Donkey Kong, The Legend of Zelda, and Mario Bros.. For a more complete list, see List of Game & Watch games.